Our property is just off Camden Street in Camden Drive. We are now confident of obtaining planning permission, for up to three floors of high density, mixed use (mainly residential) and possibly for a restaurant. This is a wonderful and important location, the surrounding buildings are soon to be redeveloped. 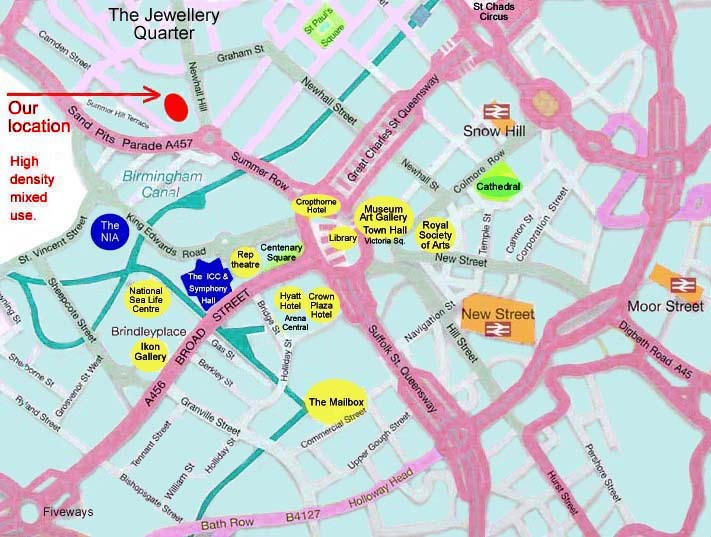 Within five minutes walk of the famous International Convention Centre, The National Indoor Arena and The Historic Jewellery Quarter. (Rolls Royce & BMW have new showrooms adjoining our site). For further information, please contact John Neville Cohen, preferably by email or by Fax.